Iouri Podladtchikov may not be in the Olympics this year, but that hasn’t slowed the launch of his limited edition Leica Q “Snow” any according to a story on The Verge. 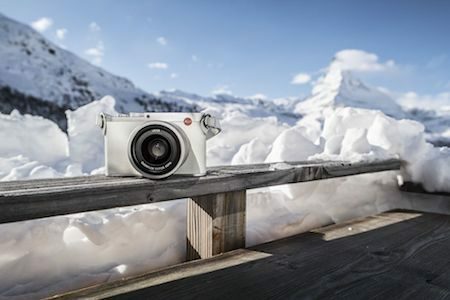 Dubbed the Leica Q “Snow,” the camera is decked out in silver anodized aluminum for the top deck, baseplate, and controls. The body of the camera is wrapped in pure white leather that will probably get dirty in the first five seconds after you take it out of the box. The camera also features an aluminum accessory shoe cover, which is apparently a first for a Leica camera. And to round out the color scheme, the Leica Q Snow also comes with a white leather carrying case and strap. . . ‘White – for me, that also means ‘carte blanche’ – it’s up to you. It’s time to get creative’, says Iouri Podladtchikov, who has already published two books of his photography and will soon be opening his own studio. The camera apparently drops in March for only $5,395. It looks amazing but sadly, is a little out of our price range. Next post: USA On Way To Olympic Gold Sweep?